BOLTOP | What Does BOLTOP Mean? 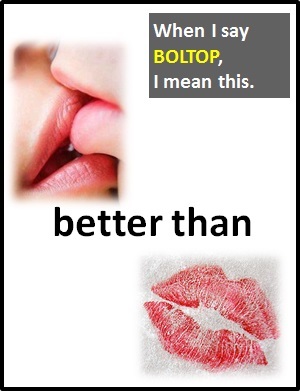 BOLTOP means "Better On Lips Than On Paper". A kiss on the lips is better than a kiss on paper (or in a text for that matter).